As the technologies behind additive layer manufacturing, now becoming better known as 3D printing, develop, so too does the hype behind the process. While its potential to change manufacturing is undoubted, the implications of this are not well understood; and while engineers around the world are excited by the process, they are also finding that it its as likely to change what is made as it is to change the way we make things. The technique’s ability to use different materials from conventional manufacturing processes, and assemble them layer by layer into an intricate design derived digitally is driving it towards niche products which haven’t existed before — and that, it seems, might be the true strength of the technique. Although it’s technically feasible to make anything with 3D printing, engineers and designers are finding that that doesn’t mean that it makes it easy. One of the most ambitious 3D printing projects today aims to build something which conventional manufacturing techniques have honed to a high level of efficiency — a car. Making it using 3D printing means dumping that history of manufacturing development and replacing it with something new and untried. Jim Kor, a design engineer who founded KOR Eco-Logic in Winnipeg, Canada, is developing a road car called the Urbee, designed for use in cities and run on renewable energy. 3D printing is central to the idea of the Urbee; all the exterior and interior body panels are made using additive layer manufacturing, designed to wrap around a tubular steel chassis and power train. 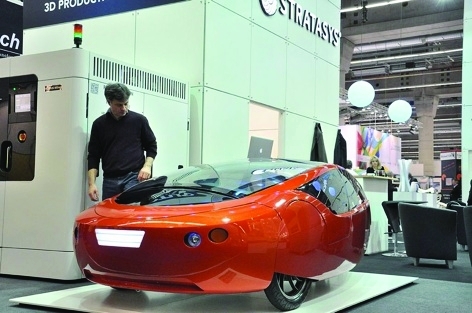 The idea for the Urbee’s form and manufacturing technique was inspired by a demonstration piece produced by 3D printing specialist Stratasys of Minneapolis; to show what the company’s machines were capable of, it had made the front end of a lorry. This, Kor explained, made him wonder whether a whole vehicle could be produced this way, and he worked with Statasys to determine whether panels strong enough for a safe car could be made using additive layer manufacturing. The advantage the technique gave Kor as a designer was the ability to simulate the entire design digitally, knowing that, as he and his team refined the aerodynamics of the vehicle’s body shape in software, the exact same shapes could be made at full scale by the printer. This, Kor says, is because the technique almost forces the designer to copy nature. He compares the way that structures have to be designed in 3D printing to the way that bees build honeycombs — despite their apparently complexity, he says, honeycombs actually involve the minimum of materials necessary and are the simplest possible structure that could perform their role. In a similar way, he says, 3D printing designers have to devise structures that are as simple as possible for the role they have to fulfil — even though that goes against all the principles behind mass-production on a assembly line. ‘Light and strong structures are currently being made primarily through the use of tooling and, at times, toxic materials,’ he said. ‘These materials and fabrication techniques are typically considered necessary for mass production and proper economies of scale.’ But although these techniques might be efficient in the short run — on the scale of centuries — they are likely to prove problemmatic and uneconomic on longer scales, leaving a legacy of pollution and need for remediation. In practice, this means that the concept of a 3D printed car means dumping all the accumulated knowledge about cars — how to design them and how to build them —and coming up with something new. This, Kor argues, is the true implication of a transformative technology — not that it will make things easier, but that it will force engineers to rethink and come up with something that. in the long run, would be better. 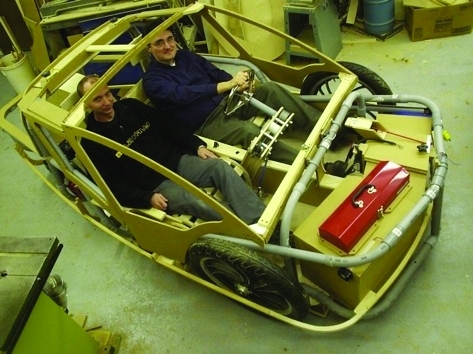 Inspired by his experience of modifying and racing small cars, such as Minis and Sunbeam Alpines, Kor designed the Urbee specifically as an urban car, to run on a combination of an electric drive train and an ethanol-powered engine. 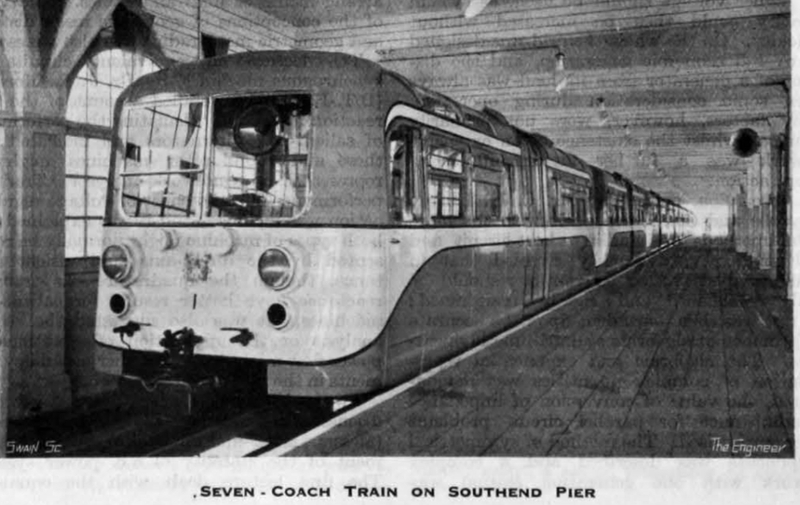 Although the proposed market for this car would be very much the same as many landmark vehicles, from the Model T Ford through the Citroen 2CV and the Fiat 500, the design principles were quite different: the manufacturing process had to be scalable for low and high volumes, it had to use durable, predominantly local and recyclable materials; and Kor was keen to use the least complex design possible. 3D printing allows panels to be built with the structures necessary for running cabling and other features as an integral part of their design, which reduces the number of parts needed to construct the car from many hundreds in the case of a conventional vehicle to about 40. While the transformative power of 3D printing might take its time being felt on Earth, there’s increasing speculation that it might prove a valuable technique in space exploration. Both the European Space Agency and NASA are investigating its potential to build bases on the Moon, ahead of anticipated manned return missions to Earth’s satellite. The main reasons to return to the Moon revolve around studies of the geology and evolution of the lunar surface and seismology, and it is generally thought that these would require much longer stays than the few days maximum that the Apollo missions could manage. Most mission profiles call for a base manned by a revolving crew, much like the International Space Station. This would have to be strong enough to contain an artifical atmosphere under Earth-like pressure, and would also have to protect the crew from the extremes of temperature, micrometeorites and high levels of radiation on the surface. Taking any structure into space is expensive, and transporting units large enough to form habitation and work spaces all the way out of the Earth’s gravity well and across the translunar gulf is even more so. The key to a successful and affordable lunar mission would be to minimise the amount of equipment that would need to be transported — and that’s what makes the prospect of building on the Moon, using material that’s available there, so attractive. Of course, ‘what’s there’ is extremely limited. There’s only one thing in abundant supply on the lunar surface, and that’s regolith — lunar soil. It isn’t pleasant stuff. Formed from the breakup of the volcanic rocks that make up the Moon, it consists of particles which appear fine but, because of the absence of any atmosphere, haven’t been worn down into smooth shapes as they would be on Earth. As a microscopic scale, the fragments are sharp-edged and abrasive; moreover, they’re electrically charged and, because they contain nano-particles of metallic iron, they are also chemically reactive. The Apollo astronauts found that lunar dust stuck stubbornly to surfaces and worked its way into joints and hinges. One of them, Harrison Schmitt, reported having a severe allergic reaction to it. Studies of the material returned to Earth have raised concerns that, if inhaled, it could cause lung diseases similar to silicosis and could damage the nervous system. Not the most promising basis for a building material, then; in fact, it would bejust as important to protect astronauts from the regolith as it would be to use the regolith to form a protective material. However, ESA brought together a team of specialists from architects Foster + Partners, the Scuola Superiore Sant’Anna in Pisa, Monolite (a UK company which has built a large-scale 3D printer called D-Shape), Italian space systems specialist Alta and the agancy’s own materials technology section, based in the Netherlands, to come up with a concept and design which might do the trick. The D-Shape printer is designed to work with sand or other granular materials, and is intended to build large, free-standing structures such as flood defences and artifical reefs: another project is currently investigating its use to build a house. It works by printing what its designers refer to as a ‘structural ink’ — a chemical binder — onto the surface of a 5-10mm thick layer of the base material. This needs something to work on, so the ground-up regolith — which would be literally scraped off the lunar surface —would be mixed with magnesium oxide before being spread out prior to printing. The structural ink sets the granular substrate into a rock-like substance with properties similar to marble, strong and hard enough to withstand the impact of micrometeorites (which can strike with more force than a bullet). 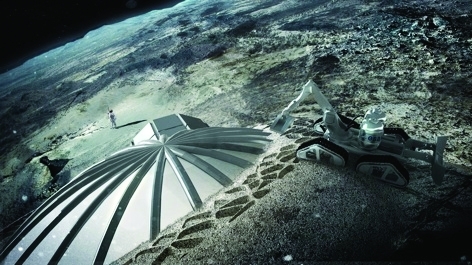 The material would be built onto an inflatable support structure, which the Fosters team has designed as a self-supporting dome shape, which would be transported to the lunar surface in a cylindrical container that would become the entrance to the base or a corridor linking two domes together. This would be made out of layers of material similar to those used in space suits, which themselves are designed to protect against radiation and micrometeors. The binder, magnesium oxide, D-Shape printer itself and the material processing equipment would all fit inside the transport cylinder during the journey — 3D printing enabling the construction of a much more extensive, durable and hardier structure than would be possible otherwise, and therefore enlarging the scope of any putative mission. NASA’s plan is superficially similar, but avoids the ESA team’s need for binding agents to keep the regolith-mortar together. Instead, the agency suggests using a microwave system, mounted on an arm of a robotic rover, to sinter the material, heating it up to just below its melting point so that it fuses into a solid ceramic-like mass. Based on designs by space architect Tomas Rousek, whose digital design consultancy AETC is based in London, the ‘SinterHab’ base concept also doesn’t need a former to support the structure while it is being built. Rousek envisages the building beign formed from a series of adjoining ‘bubbles’ with common walls that would support each other, the same way that the individual bubbles in a foam hold each other in equilibrium. Additionally, the sintering equipment could be used to fuse together dust in the vicinity of the base, helping to reduce the hazards of the granular moon dust and making it easier for the crew and their equipment to work. NASA is also ahead of ESA in deploying such a device; it is already trialling an insectoid rover, rolling on wheels at the end of robotic, independently-controlled legs. The ATHLETE rover, which features a habitatable pod on top of the six-legged platform, has been tested at half-scale, and is capable of carrying tools such as the microwave sintering device at the tip of its legs. The microwave emitter itself need be no larger than a typical kitchen unit, which would be capable of heating the iron nanoparticles in the lunar regolith up to some 1200°C, easily hot enough to sinter the dust into a solid. Both the NASA and ESA schemes locate a possible base on the rim of the Shackleton Crater, near the Moon’s south pole. Enjoying almost constant sunlight because of the inclination of the Moon’s axis of rotation, this means that the building machines — and, eventually, the base itself — would be powered by photovoltaic cells. This, combined with the ability to build with available materials that don’t have to be lifted, could also reduce the potential cost of a base, Rousek said. His team is now working with Ondrej Doule, a specialist in human-centred design in aerospace engineering at the Florida Institute of Technology who has previously worked on Mars base concepts, to refine and develop the design of the base. One of the leading centres for investigating the possibilities of 3D printing is at Cornell University in New York, where the capabilities of the technique to manufacture what would previously be unmanufacturable are being tested. Two of the most exciting projects from recent work have used the technique to make body parts and food. Lawrence Bonassar, a biomedical engineer, worked with the Weill Cornell Medical College to manufacture a replacement ear for children born with a congenital ear deformity where the external structure of the year is not fully developed. What 3D printing allowed them to do was to build the ear from natural materials which both formed their structure and provided a framework for living cells to grow through them. The team started by making a 3D digital image of the subject’s ear, then used this to create a mould constructed with a 3D printer. This was then filled with collagen, and added living cartilege cells (extracted from cows’ ears) to form a high-density, self-supporting gel. The moulded ear is left in a cell culture medium for the cartilage cells to develop. The whole process takes only a couple of days from beginning to end, Bonassar said. This technique is particularly useful for structures made of cartilage, such as noses, joints, and the trachea, Bonassar explains, because they don’t need a blood supply, but are difficult to replicate in other materials. Bonassar has already used the technique to make replacement spinal discs. The team is working on replacing the bovine cartilage cells with human cells taken from the recipient, to reduce the possibility of rejection. 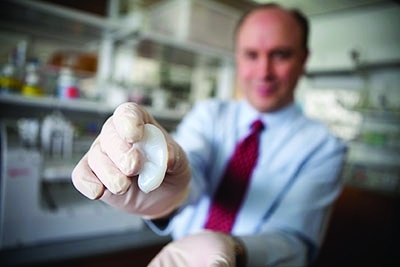 Elsewhere at Cornell, Jeffrey Lipton has developed techniques which allow edible gels to be printed into custom-designed foods. Unlike other food printers, which have worked with materials like melted chocolate or icing, this allows foods to be tailored for composition and mouthfeel, making a variety of foods which resemble the ‘real thing’ to a greater or lesser extent. One of the more eyecatching demonstrations of this is a piece of scallop printed to resemble a Space Shuttle, which was then deep-fried. Attempts to make something like mozzarella cheese and mushrooms were less successful, coming up with something that taste testers found slightly disturbing. This technique could be used for locations where fresh foodstuffs are difficult to come by — Lipton suggests space, conjuring up the image of a Moonbase crew sitting in their 3D printed base eating 3D printed food. 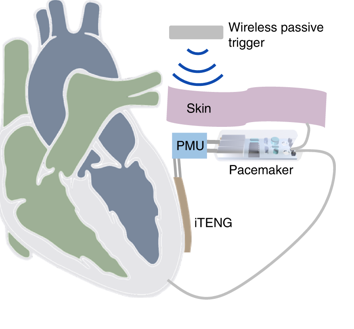 But it could also be used in hospitals to make foods whose nutritional content was craefully tailored to patients’ requirements, or which contained drug delivery particles built into meals. A Lack of Skills or a Lack of Knowledge? 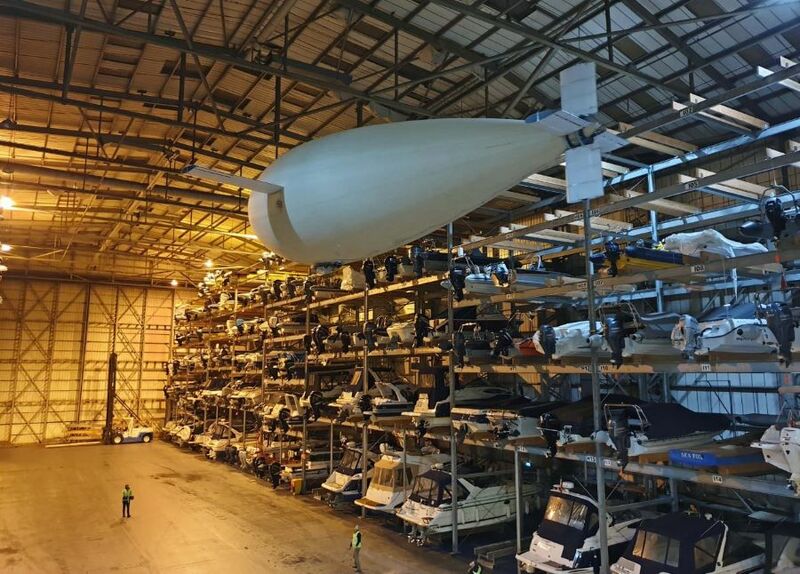 I remember well a comment from one of my textile colleagues in the late 60s when describing the then manufacture of aircraft. PS the creation of knitted structures from edible protein yarns -that had an appearance and texture more akin to what the human eye, tongue and mouth was used to…was I believe first proposed in the late 60s by some part of one of the US food firms. I know because they asked us if could knit such! My boss at that time, one of the most original thinkers it was my privilege to be associated with went one further and proposed a ‘product’ -he suggested pea-nut shape, which could/would be eaten as a snack (thus allaying the hunger) but have no effect on the human body nor the human body and its juices on the product. It would pass through undiminished…and in the ultimate could be ‘cleansed’ and recycled! Not sure i would wish to be at the trials but the concept is sound. So lets see, it’s clean, efficient, and mistakes and “miss prints” can be ground up back to the base components and put back in the printer and in the case of aditive layer metal printers the finished product has the properties of a forged componant, and of course it’s a hell of a lot cheaper and quicker in the long run. Well I guess that about wraps it up for forgers and casters.